Can You Cash a Check If Your Name Is Spelled Wrong? You finally get that check you've been waiting on, and your name is misspelled. You may just think you're out of luck and out of money. Never fear, there are simple remedies for depositing checks with misspelled names. Just follow some simple guidelines -- in order -- and you'll have cash in hand in no time. There is no reason to be afraid of tellers, bankers or other officials. Approach them with courtesy, and they will help you solve your problem. You can also bring along a copy of your deposit account agreement, which provides guidelines on the depositing of checks. If you have been given a check on which your name is misspelled, this isn't a serious problem. In fact, you can typically resolve the issue by speaking with a bank teller and presenting a legal form of identification. Don't panic if the check contains a minor error, such as using a nickname rather than your full name. If your name is Susan but your aunt writes you a birthday check made out to "Susie," that is unlikely to cause any issue at the bank. Deposit your check in an automatic teller machine. If the name on the check is missing one or two letters, the easiest thing to do is endorse it on the back, with your name spelled correctly, and deposit in the ATM at your bank. Most often, it will go through just fine this way. Tell the teller. If the misspelling is harder to read than a mere missing letter or two, go to the teller inside your bank and explain your problem. The teller will instruct you to endorse the check exactly as it is made out, with the name misspelled. Then you will be instructed to write your name with the correct spelling below that. If you are a regular at the bank and the teller knows you, you may not need any identification other than your banking information. Otherwise, the teller may want additional confirmation of your identity. Show the teller your photo identification. Your driver's license or any other government issued ID should work. If you have identification that also contains a signature, this is even better. Ask a customer service representative to process the check and hold the funds. If the teller cannot accept the check because the misspelling is too severe, simply ask for customer service. Offer to put the funds on hold until they have time to contact the issuing bank and determine that you are the intended payee. 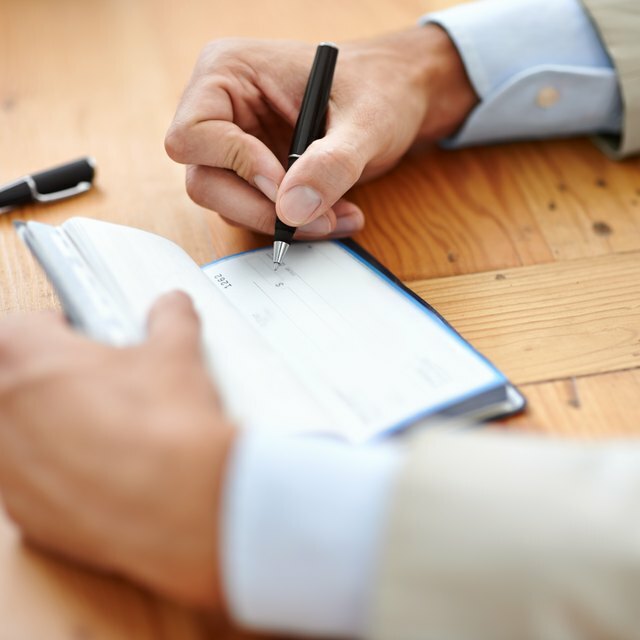 The person who wrote the check actually has the responsibility for ensuring that the check is made out correctly, and his bank will ask him to make it clear who is the intended payee. Keep in mind the bank may hold the funds from your check for several days as an added precaution because of the misspelled name. The bank may hold the funds from your check for several days as an added precaution because of the misspelled name. Cornell Law School: § 3-110. IDENTIFICATION OF PERSON TO WHOM INSTRUMENT IS PAYABLE.